Take precaution and be prepared! As water levels continue to rise in the municipality we may see some more localized flooding as we are seeing now. Ensure your sump-pumps are in working order. If you need sand and bags they can be found at the Stoco Public Works Yard beside the waste site. For up to date water levels visit www.quinteconservation.ca. Please share with your neighbours, families, and friends. Also, STAY OFF THE LAKE with warmer temperatures and up to 30 mm of rain over the next couple of days the lake is not safe. 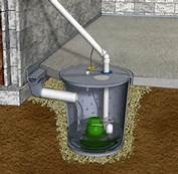 For more information regarding sump-pumps or to replace or receive a new one please contact our local business http://www.mcinroybasementsystems.com/ 613-453-6170.